I can’t believe it. My anniversary is coming up quickly. It’ll be one year since I became a Mrs.
To mark such a momentous occasion, I’m taking a small break from home decorating and baking/cooking posts. Instead, I’ll be recapping some of the crafty DIY wedding details in the two weeks leading up to our anniversary, June 5. As you probably could have guessed, I was very much into cutting costs where I could for the wedding. The average wedding costs something like $30,000 these days, so I was looking to save where possible. I was also a DIY bride, which not only helped keep costs down, but really helped fill the wedding with personal touches. As one guest later told me, you could see Dan and I in every little detail. Just as we had hoped! In the next couple weeks, you’ll see all those little details we created for our wedding. Post-wedding has been a bit of a different story. There’s one item I still haven’t gotten around to doing, almost a whole year later. 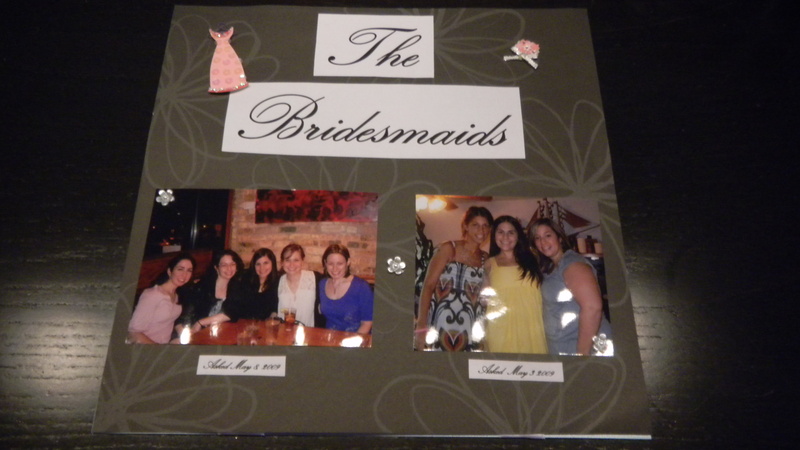 The wedding scrapbook. The scrapbook wouldn’t be of the wedding itself. No, we paid for a professional photographer and for a professional (looking) album. That’s enough for me. No, I was going to scrapbook the wedding-related events up to the big day. You know: engagement, showers, bachelorette party, dress fittings, etc. Ever since a few Christmases ago, when my mother-in-law gave me a ton of scrapbook supplies and introduced me to the concept of scrapbooking, I’ve really enjoyed making scrapbook pages. It’s a great way to remember a special event, and it seems more meaningful that just shoving all your photos into an album. I’ve made some pretty good pages in the past, if I do say so myself. 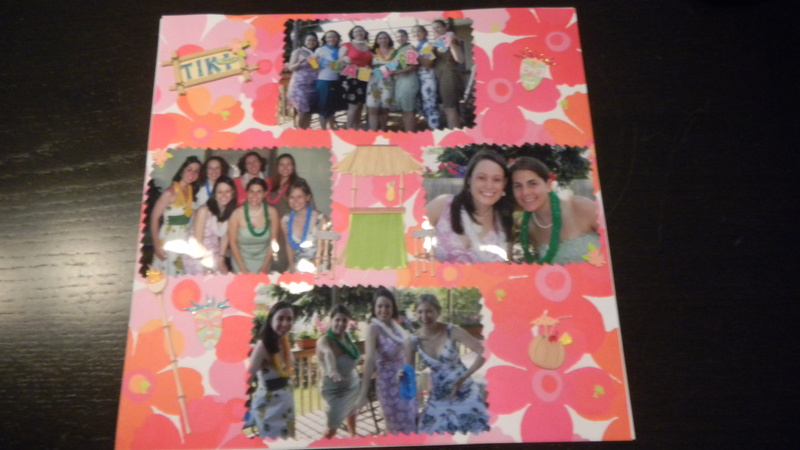 Here’s a Girl’s Day Luau I hosted. Here’s New Year’s Eve, celebrating with my friends and Dan. And here’s a family Easter. 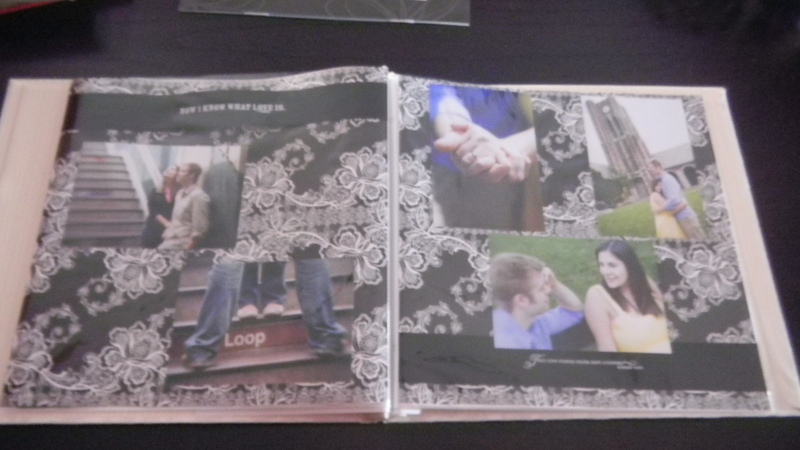 Anyways, I planned the whole wedding scrapbook out. As a birthday gift, my mom got me some of the supplies I would need. I looked through the photos I had from each event and printed my favorites. I even went so far as to separate the photos and put them each in envelopes I had labeled with the event description. But then the supplies and envelopes kind of just sat there. 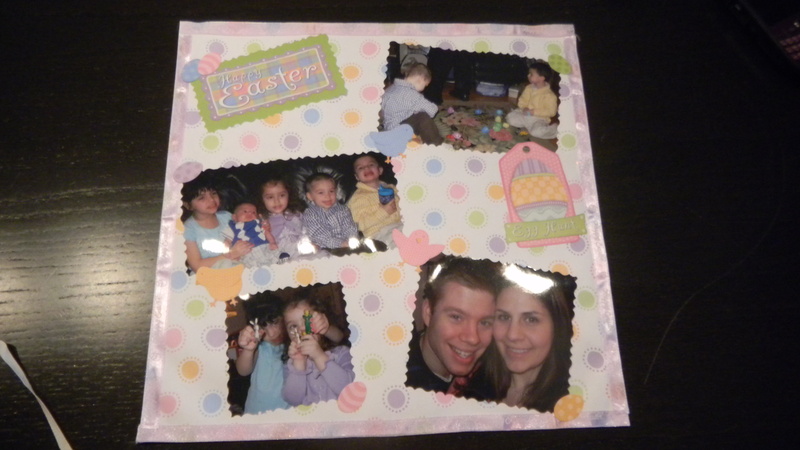 At first, I told myself I was busy wedding planning, and I would get to scrapbooking after the big day. Then, I moved. Then it was summer time, and I wanted to enjoy the warm weather while I could. Before I knew it, Christmas was nearing. Then we got the dog. And I kept making excuse after excuse every time I thought about how I meant to make the scrapbook. In my defense, I did get a few pages done. 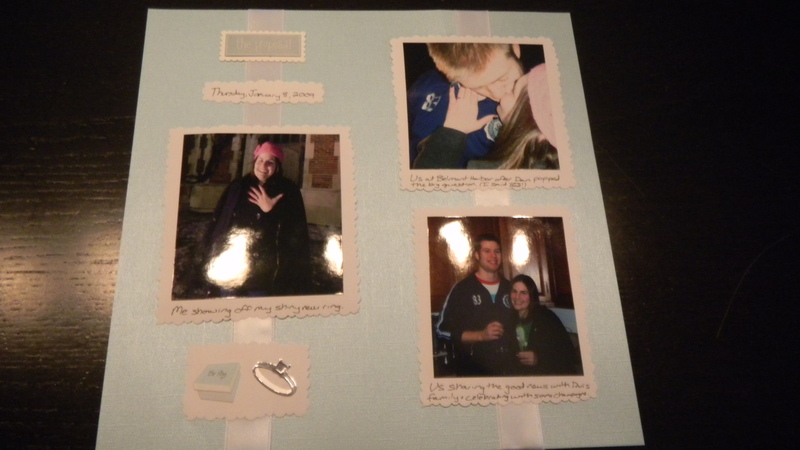 I scrapbooked our engagement night. And the night I asked 6 of my closest friends to be my bridesmaids. And I made a spread from some of our engagement photos. 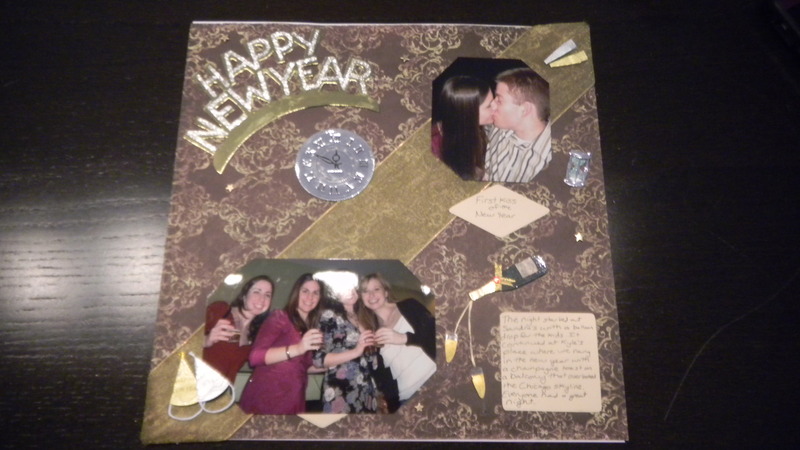 My goal had been to finish the scrapbook by our one year anniversary. That is clearly not happening. My new goal is to finish it by the end of summer. Check back to see how I do. For now, be on the look out for my wedding recap posts starting Monday.